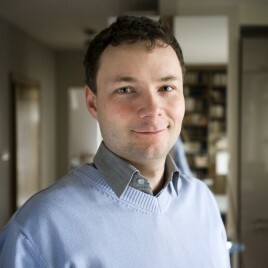 A sociologist, psychologist, methodologist, program director of the Centre for the Thought of John Paul II, an assistant professor at the Institute of Sociology of the University of Warsaw. He is the author of the following books: Odwieczny naród. Polak i katolik w Żmiącej [Eternal Nation. Pole and Catholic in the Village of Żmiąca] (Stanisław Ossowski and Rev. Józef Tischner awards), Solidarity Step by Step and Polityki historyczne. Europejskie miejsca pamięci w późnej nowoczesności [Historical Policies. European Places of Remembrance in the Late Modern Period]. He has had a scholarship in the Foundation for Polish Science and the Fulbright Foundation. He is an editor of an antidisciplinary journal Stan Rzeczy and an apocalyptic magazine 44/Czterdzieści i cztery. He has recently produced a film Ojciec, syn i przyjaciel [A father, a son and a friend].